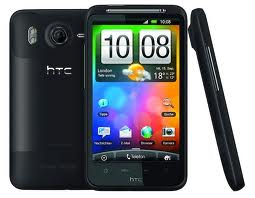 HTC Desire HD Receives Its Second OTA Since Launch, Fixing YouTube Bug, Solving Proximity Sensor Woes Too? Well, let it not be said that HTC are ignoring the hardships of Desire HD early-adopters. Merely a fortnight after its release to retail, the Desire HD is receiving its second over-the-air update. While the first one promised "screen control and photo message compatibility enhancements", that clearly wasn't enough, as today's update once again addresses "screen control" issues whilst also solving a hitch with crashing of the YouTube app. Those affected by the dreaded proximity sensor issues we previously reported have yet to fully confirm that this latest update fixes the problem once and for all, but the smattering of positive murmurs spread about the XDA-Developers Desire HD sub-forum gives us hope that this may well be the case. There are also some disgruntled owners still complaining about problems with Exchange Server 2010, so we may well see a third update soon enough.